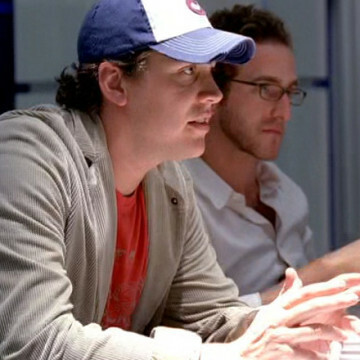 Hayes MacArthur appears as Levinson in the seventh episode of Entourage’s fifth season. Hayes’s character is a reality television writer and meets with both Ari and Barbara near the episode’s 19-minute mark to pitch a bad script idea. Hayes MacArthur is perhaps better known for his role as Peter Novak in 2010’s Life as We Know It.